Ultimate success will be largely influenced by the faculty’s involvement and campus environment. The University of Hawai‘i at Hilo is now taking action on several fronts to step up efforts to recruit, retain and graduate more students. A campus-wide call for ideas from faculty, staff and students generated a number of suggestions that were reviewed by the Long Range Budget Planning Committee and led to a set of recommendations. Sakai says the initiatives will be supported with investments in UH Hilo website communication and increased funding for student employment. Additional proposals that may be implemented as additional funds become available or as the initial investments begin to show a return include development of online and digital learning and recruitment of students at California community colleges. The accreditation review team from the Western Association of Schools and Colleges weighed in with some recommendations of its own during last fall’s campus visit. Among the issues raised in its written follow-up (WASC Accreditation Review Summary) that are currently under discussion are examinations of distance learning classes and programs. As increased retention leads to higher graduation rates, additional emphasis is being placed on initiatives to support the UH System’s 15 to Finish campaign, whose goal is to boost the number of students earning their degrees in four years. Kainoa Ariola, executive director of career and academic advising and chair of the recruitment committee, says a number of recent initiatives indicate a shift toward a focus on retention at UH Hilo including Freshmen ‘Eleu (Intrusive Advising), Freshmen Guaranteed Academic Schedules (FreGAS), and four-year academic plans for all undergraduate majors. “We’re also capitalizing on the newly improved STAR online degree audit, which is expected to impact retention by updating students in real- time on their progress toward graduation,” she says. 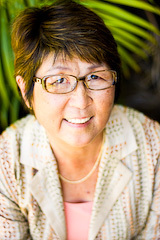 -Read full story in the Feb. issue of the Ka Lono Hanakahi faculty and staff newsletter.